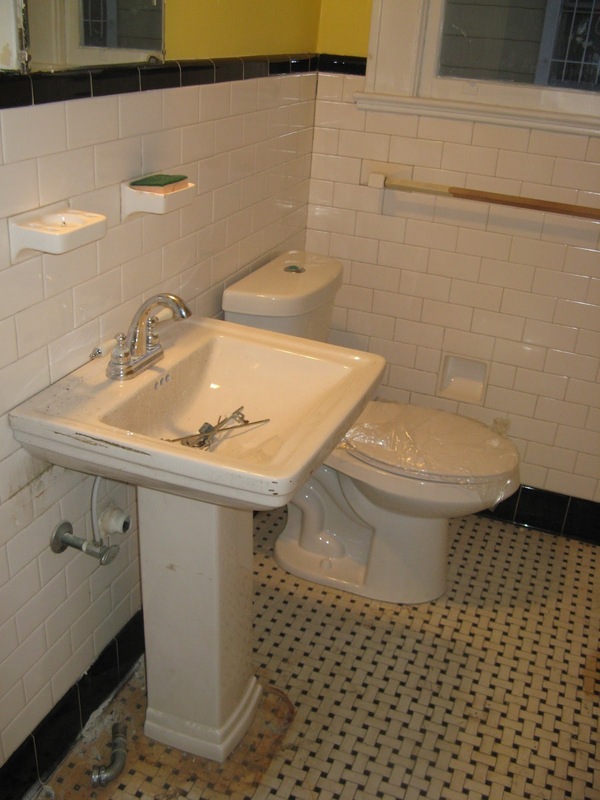 We have a new toilet, and the contractor got as a dual-flush as promised! 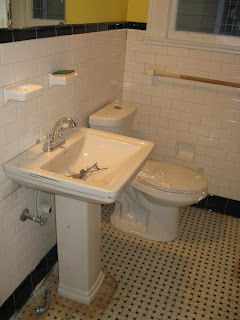 He also had a pedestal sink laying around from another job, so it replaced our old sink! Still needs some cleaning, as does the floor, but at least we still have that pumice stone for the rust. Still no water, but at least we can tell the plumber was around today. Maybe he'll be back tomorrow. We are heading over there now to paint the living & dining rooms.